Recorded with legendary producer Joe Chiccarelli, known for his work with Frank Zappa, The Strokes, Beck, The White Stripes, Low in High School is the first release from Morrissey on his new label Etienne records and is set to be released on November 17th. This will mark the first set of new material from the singer since 2014’s World Peace is None of your Business. 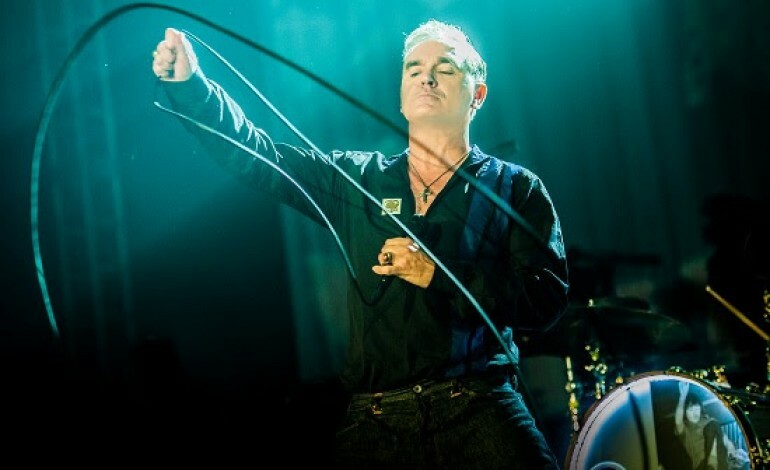 In preparation for the album’s release, Morrissey will be performing at the Hollywood Bowl on November 10th, with a second show being added the following day due to a near instantaneous sellout of the world-famous venue. While no official dates have been released yet, Morrissey has released details for a tour of North America this fall to support Low in High school, with the singer visiting cities such as New York, Washington, DC, Philadelphia, Chicago, Denver, Salt Lake City, Phoenix, Detroit, San Francisco, Seattle, Boston, St. Louis, Paso Robles, CA, and Portland, OR. Since rising to fame in the 80’s as the lead singer of the legendary British rock band The Smiths, Morrissey has had a long and fruitful solo career, repeatedly turning down any and all offers to reform his old band, instead focusing on his musical output. While The Smiths have not performed together in over thirty years, their music still resonates to this day, as the band released a special edition of their classic single “The Boy with the Thorn in His Side” on record store day this year, stirring up controversy for having the words “Trump will kill America” etched into the vinyl. Additionally, a special five-LP box set of The Smiths most well-known release, The Queen is Dead, will be released on October 20th.